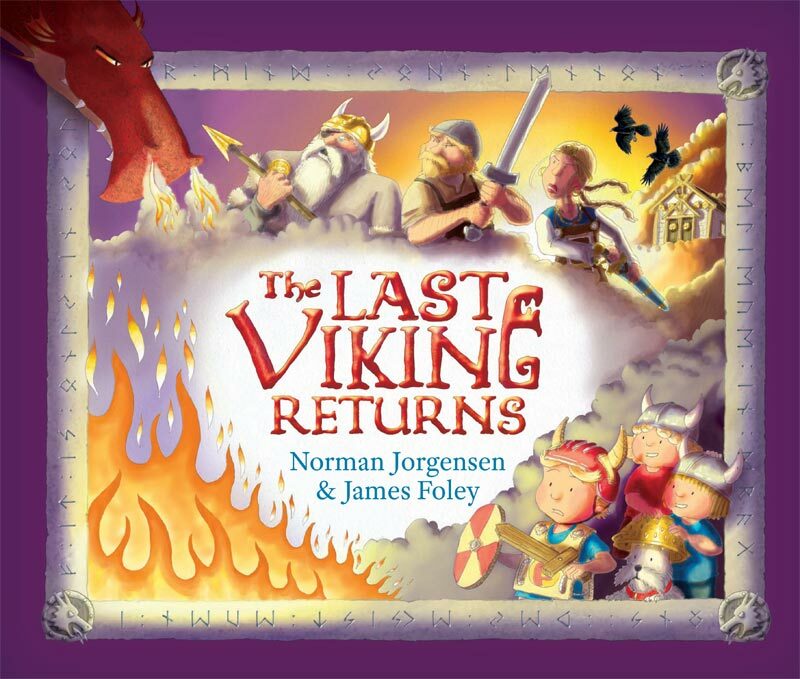 Norm and I have some good news: The Last Viking Returns has won the Hoffman Award! It’s one of the WA Young Readers’ Book Awards and it’s given to the highest-ranked book by a WA creator. The Last Viking won the same award back in 2012. Huge thanks to all the WA kids who voted for our book; it means a lot. You can read more about the win on the Fremantle Press website. Categories: awards, The Last Viking 2 | Tags: Fremantle Press, Hoffman Award, James Foley, Norman Jorgensen, WA Young Readers Book Award, WAYRBA | Permalink. we’ve got a Boffins bookshop event in Perth on Wednesday 1st October. Hit the link for the details. Categories: events, final artwork, The Last Viking 2 | Tags: Boffins bookshop, Fremantle Press, James Foley, Norman Jorgensen, State Library of WA, The Last Viking Returns | Permalink. We had two launches for The Last Viking Returns this past week: a mini-launch at the fantastic Beaufort Street Books in Mount Lawley, then a big mammoth launch at the State Library. Tonya McCusker generously dressed up to launch our book with her daughter Mary ably assisting. Hit the jump for more photos. Categories: events, illustration, The Last Viking 2, writing | Tags: Beaufort Street Books, Fremantle Press, James Foley, Mrs Tonya McCusker, Norman Jorgensen, State Library of WA, The Last Viking, The Last Viking Returns | Permalink. The State Library of Western Australia is exhibiting the artwork of The Last Viking Returns from today until September 30. Head up to The Place on the mezzanine floor to see original sketches, storyboards and character designs as well as prints of the final artwork. You can also see research materials and Norm’s original manuscripts. Categories: Character development, events, final artwork, illustration, Research, The Last Viking 2, writing | Tags: Fremantle Press, James Foley, Norman Jorgensen, State Library of WA, The Last Viking Returns | Permalink. We’ve had a few more reviews filter through – one for The Last Viking Returns and a belated but very welcome one for The Last Viking. “This is an intricately crafted picture book of the highest quality. A CBCA Notable Book in 2012, it manages to both entertain and inspire, while touching on issues ranging from childhood fears and bullying to the power of myth and storytelling. Josh’s creativity as he builds a Viking longship is a joy to behold. His bravery in the face of terror as he marches out to confront a pack of bullying children is formidable. And the way in which his problems are resolved is delightful. The Last Viking Returns is out now! Find it at your local bookshop or order it online. Categories: reviews, The Last Viking 2 | Tags: Fremantle Press, James Foley, Norman Jorgensen, The Last Viking, The Last Viking Returns | Permalink. The Last Viking Returns today! The Last Viking Returns is officially in bookshops from today! To celebrate, we’re having two launches in Perth over the next week. We’re also having an exhibition of the book’s artwork. The big launch has reached capacity, but there’s still some space left at the second launch. The Last Viking Returns second launch! Meet Wolverine the dog and his new friend on the day! There will be a special reading of The Last Viking Returns and activities. Kids tickets cost $5 but can be redeemed off book purchases. If you can’t make it to either of the launches, you might like to see an exhibition of the artwork from the book. On behalf of Norm, thanks again for your support of our books! Categories: events, The Last Viking 2, Uncategorized | Tags: book launch, Fremantle Press, James Foley, Norman Jorgensen, State Library of WA, The Last Viking Returns | Permalink. By the time this blog post goes live, we’re likely to have reached capacity for the launch of The Last Viking Returns. If you couldn’t RSVP in time, don’t despair. We’ve got a second launch organised! Keep Saturday 6 September free from 11am to 12pm for a Viking event at Beaufort Street Books, 567 Beaufort St, Mt Lawley, WA. Categories: events, The Last Viking 2, Uncategorized | Tags: Beaufort St Books, Fremantle Press, James Foley, Norman Jorgensen, The Last Viking Returns, Wolverine | Permalink.